Enjoy the year round beauty and serenity of the beautiful Smoky Mountains. This luxury log cabin is located near Dollywood, 5 minutes from Pigeon Forge, and 12 minutes from Gatlinburg. Amenities include: Pool Table, A fully equipped kitchen, Hot Tub, 2 Jacuzzi's, Fireplace, 6 Satellite TV's, Washer & Dryer, High Speed Internet, & much more. Reserve "A View For All Seasons" for any season! Visit this themed cabin each season for a totally different look and feel. A Christmas tree and holiday decor make Christmas a special time for families. The spring room has a wonderful view of the mountains! As the seasons change, "A View For All Seasons" also changes to reflect the current season. The kitchen is fully equipped and has a microwave and dishwasher. 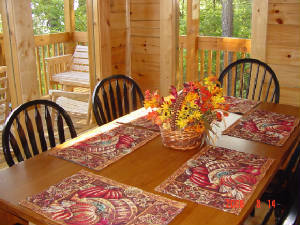 Why rent a cabin instead of a hotel, when you are planning a trip to the Smokies? 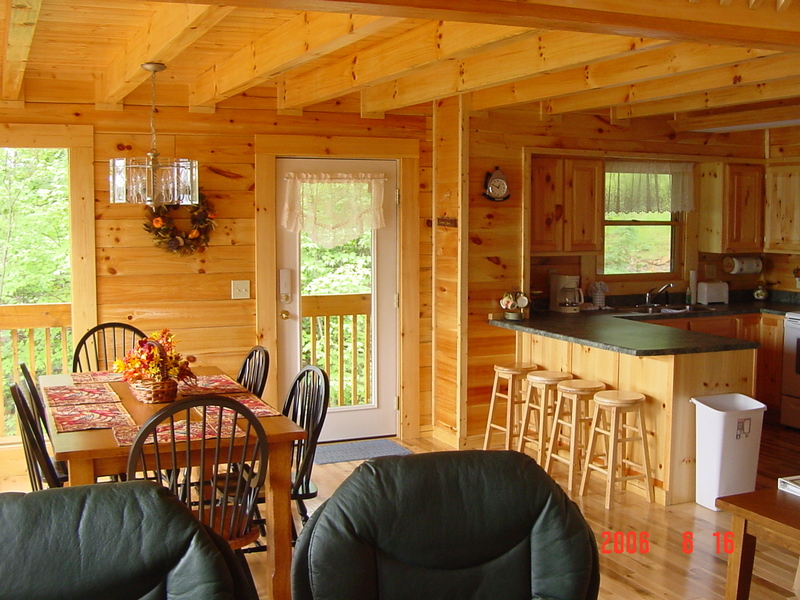 A cabin is more spacious and away from the hustle and bustle. 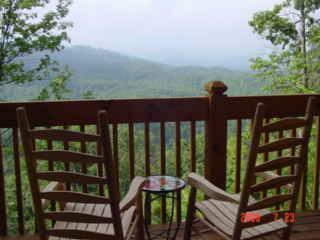 "A View For All Seasons" is private, with its two decks to enjoy the breathtaking view of the mountains; yet, it is very convenient to all the attractions in Pigeon Forge and Gatlinburg -with all the comforts of home and more! I hope that this site will increase effectiveness in meeting new customers and responding to existing ones. Included will be information on rates, which are seasonal. The site will be updated with special offers. Be sure to check (Special Packages) Section for great WINTER special rates! Here is a picture of the front of our cabin. 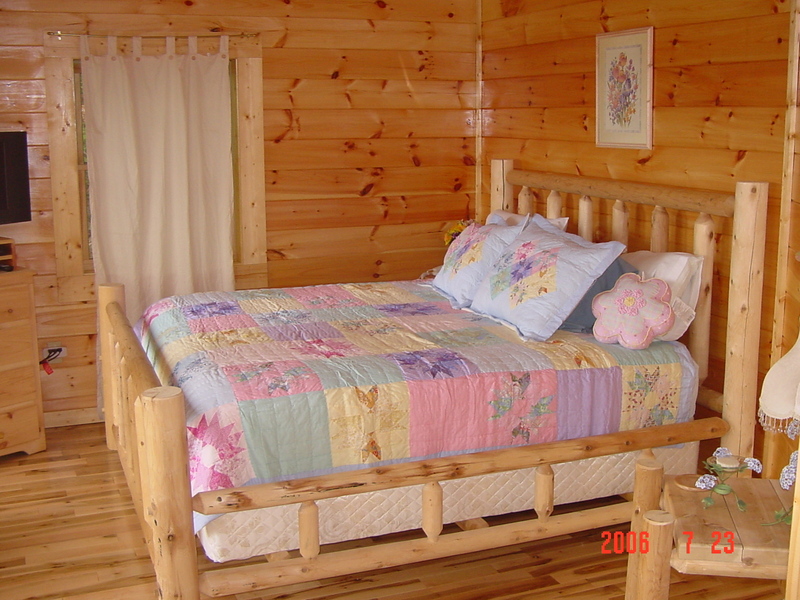 Brand new luxury log cabin in Pigeon Forge, Tennessee, which sleeps 14. This 4BR 3BA cabin is on a one-acre setting, and has an awesome mountain view! With amenities such as pool table, X-Box 360, Playstation 2, Hot Tub, Satellite, 6 dvd players, and two jacuzzis, "A View For All Seasons" is the perfect family getaway. Dollywood and Splash Country are just minutes away. You can hear the sound of the train from the deck. Enjoy the serenity of the Smoky Mountains. The location is private; yet very convenient to attractions and restaurants.